You’re on Wedding Quotes. See complete wedding and marriage link menu at bottom of page. Wedding quotes provide various perspectives on one of the biggest celebrations in our cultures: weddings. Review this collection below and see if you find something that suits your purpose. The insights on married life make for an interesting read. Love isn’t blind; it just only sees what matters. The happy State of Matrimony is, undoubtedly, the surest and most lasting Foundation of Comfort and Love, the Cause of all good Order in the World, and what alone preserves it from the utmost Confusion. A good marriage is good for you. That isn’t just a platitude. Mounting research shows that it is the literal truth. When your marriage is healthy, your body and mind are healthier. The best friend will probably get the best spouse, because a good marriage is based on the talent for friendship. In marriage do thou be wise; prefer the person before money; virtue before beauty; the mind before the body. They say marriages are made in heaven, but so is thunder and lightning. I have learned that only two things are necessary to keep one’s wife happy. First, let her think she’s having her own way. And second, let her have it. You know there is a name for people who are always wrong all of the time: HUSBANDS! When a man opens the car door for his wife, it’s either a new car or a new wife. The smallest handcuffs in the world are wedding rings. Love is blind. Marriage is the eye opener. My husband and I divorced over religious differences. He thought he was God, and I didn’t. Marriage is where a husband loses his bachelor’s degree and a wife gains her master’s degree. When I said “I Do,” I didn’t mean your laundry. Never laugh at your wife’s choices, you’re one of them. Marriage is a relationship where one person is always right and the other is the husband. I promise not to keep score, even if I am totally winning. Three rings of marriage are the engagement ring, the wedding ring, and the suffering. 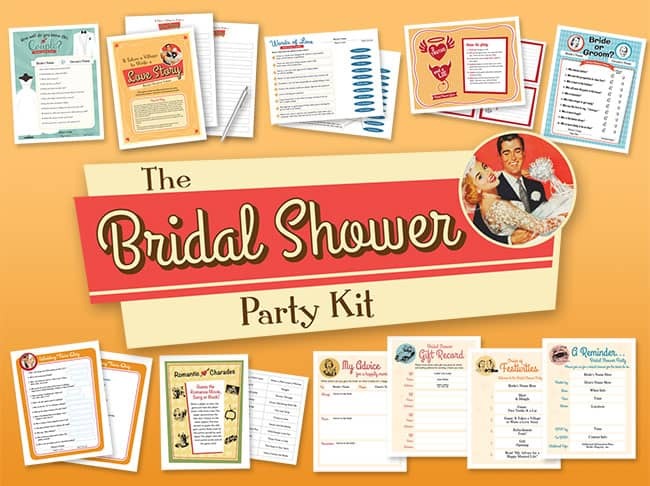 Seven bridal shower games, three helpful forms and a keepsake for the bride. Click on image for more info. If you have some favorite wedding quotes that we didn’t capture here, please let us know via the contact us page. You’re on our Wedding Quotes page.